It’s finally official. Prime Minister Narendra Modi will inaugurate the much-awaited Bogibeel Bridge on Christmas, that is on December 25. This was confirmed by a senior Indian Railways official on Wednesday. Notably, December is also observed across the country as Good Governance Day. The Bogibeel Bridge that made the final testing with first loaded freight train crossing it on Sunday last from Rangapara North Junction to Tinsukia is the country’s longest rail-road bridge, connecting the north and south banks of the Brahmaputra. It may be recalled that former Prime Minister H D Deve Gowda had laid the foundation stone for the Bogibeel Bridge in January, 1997. However, the work started only in April 2002 when former Prime Minister Atal Bihari Vajpayee formally launched the construction. Notably, in the early part of last year, Union Minister of State for Railways, Rajen Gohain had announced in a much-publicized press conference that the bridge would be open for ublic on December 25 last year. But the Bogibeel Bridge missed that deadline, like several other occasions before and after that. However, finally, the official statement from the Indian Railways on Wednesday has come as a breather. 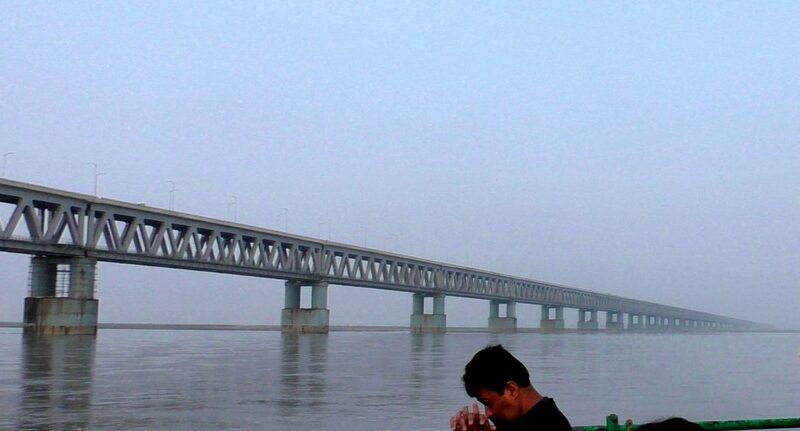 Spanning 4.94 km, the Bogibeel Bridge over the Brahmaputra will connect the twin districts of Dibrugarh and Dhemaji. The bridge is expected to usher in a new era of economic development in the region, apart from strengthening national security in the border areas. The bridge is part of infrastructure projects of the country to improve logistics along the border in Arunachal Pradesh. This includes the construction of a trans-Arunachal highway on the north bank of the Brahmaputra, and new road and rail links over the mighty river and its major tributaries such as the Dibang, Lohit, Subansiri and Kameng.